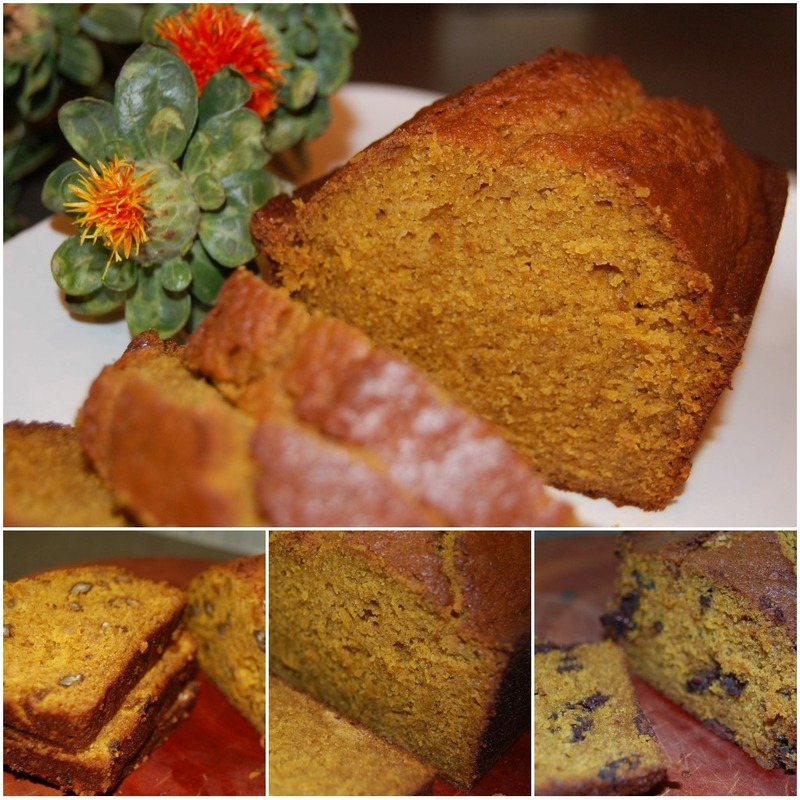 Living Lollie: Pumpkin Bread, 3 ways! Once upon a time, about 150 years ago, (apparently before we had to dial phone numbers preceded by the area code), my girlfriend Beth gave me a cookbook from her City of Hope chapter. I decided to try the pumpkin bread recipe, primarily because it made 3 loaves (if it's good, why make 1 loaf when you can just as easily make 2, i mean 3 loaves?). 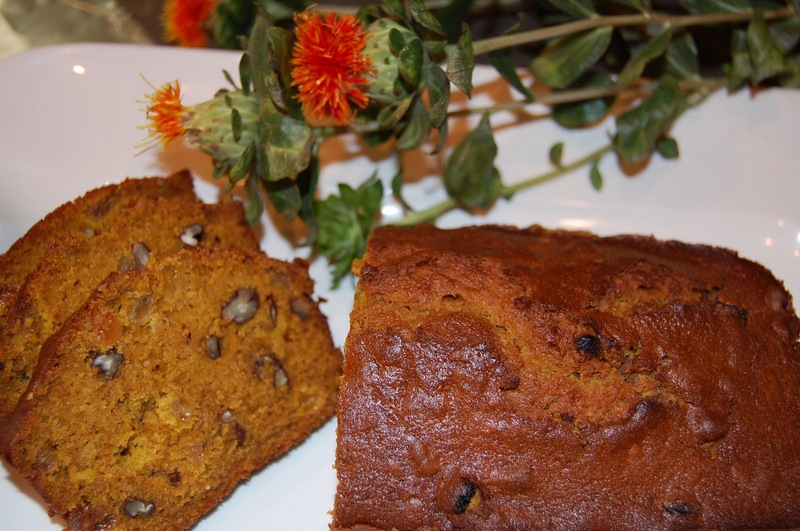 I've made this pumpkin bread just about every year since and it's always a hit! And because it makes so much, i usually make one loaf with nuts and golden raisins (for mom), one loaf with chocolate (for everyone other than Debbie) and one plain loaf (for Jessica who doesn't eat nuts, raisins or chocolate). 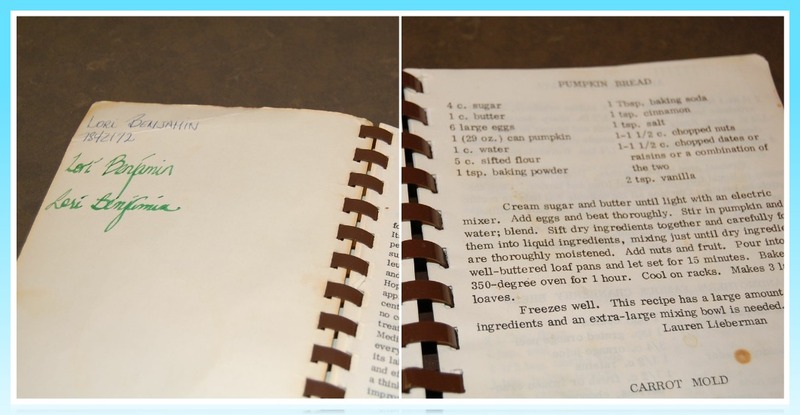 The ancient book of pumpkin bread. 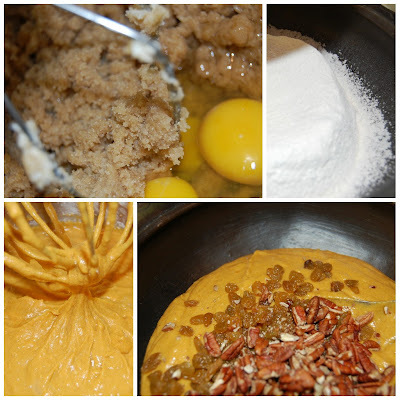 Cream the sugar and butter until light with an electric mixer. Stir in pumpkin, vanilla and water and blend. Sift dry ingredients together and fold them into the liquid ingredients, mixing just until dry ingredients are thoroughly moistened. Add nuts and fruit and chocolate. Pour into 3 well-buttered loaf pans and let set for 15 minutes. Bake in a pre-heated 350°F. oven for 1 hour. Optional: Add a dolop of fresh schlag!